One issue that has caused business owners and managers many headaches, and possible sleepless nights, is cybercrime. Businesses are always under threat of having data or money stolen, and need to be taking actions to stop this. Do you know what you need to protect your business? A quick Google search for “cybercrime trends” yields over 78 million results, the majority of which are likely to affect large enterprises or governments. 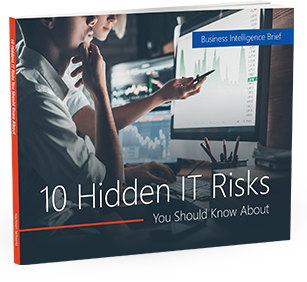 While it is beneficial for all businesses to be aware of the major trends, there are a number of threats that will affect small businesses more than others. Here are some current cybercrime trends that SMEs should be aware of. Smartphones are becoming ever more popular, and with this popularity has come an exploding number of apps. Malware developers have been picking up on this during the past few years and there have been an expanding number of apps dedicated to attacking your phone or mobile platform. The most common type of malware on mobile devices is spyware, followed by SMS Trojans. SMS Trojans run in the background of some applications, and make international calls or text messages from the developers’ services causing huge phone bills. The final form of malware targets online payment apps on the phone. One of the main reasons this form of malware has become so popular is due to the openness of some markets, such as the Android Market. The owners of the app markets are working to track down and get rid of the guilty apps on their marketplaces, but you still need to remain vigilant. while installing apps. Look at the developer of the app – how many times has it been downloaded? Maybe double check the app’s integrity online before installing and double check the app on the internet. A common thing malware developers do is write code for malware and then sell it to interested buyers. But a rising trend is that developers are writing malware that is open-source—any person can download and change it. The worrying thing is, many developers of already powerful malware have been releasing open-source versions of their software. This means that there will be an increase in the number of malware attacks out there, as devious developers can easily come up with more elaborate hacks. Along with the open-source malware kits, there has been an increase in the number of banking trojans—aimed at stealing account information and passwords. While these trojans have been a threat ever since banks first started offering online banking, they have become popular again as people and businesses are starting to move their online banking onto mobile devices, and the trojan software is easily accessible. This makes mobile banking apps an easy target. With cybercrime on the increase, now is a good time to review your security, ensure its up to date and remind employees of your mobile device policy. If you don’t have a policy in place, or feel that your security is inadequate, give us a call, we are happy to help you. Remember: with good security and knowledge, there is no reason you should fall victim to cyber theft.